Get to know us: Are we a good fit for you? Many individuals and families know they need help with their finances, but don’t know who to trust. One of the best ways to get to know PlanStrong is to listen to Paul’s regular appearances on the radio. These spots allow listeners to hear how we think, as we approach a variety of topics that impact investments. Many of our clients were radio listeners first, who over time, grew comfortable with our approach, and felt like we would be a good fit for them. Every week, hear what’s important for your investments. Since founding PlanStrong in 2005, Paul Parsons has hosted a popular weekly one hour radio show on the weekend to discuss the key economic, business and market stories that impact investments. Paul is joined by co-host and radio veteran Ken Carberry, who asks the common sense questions that many listeners want answered. Investors regularly face an overwhelming and sometimes confusing barrage of business news from a variety of sources. Our goal is to distill that stream of information into a one hour show that covers the most important stories from the past week, and interprets them for investors. 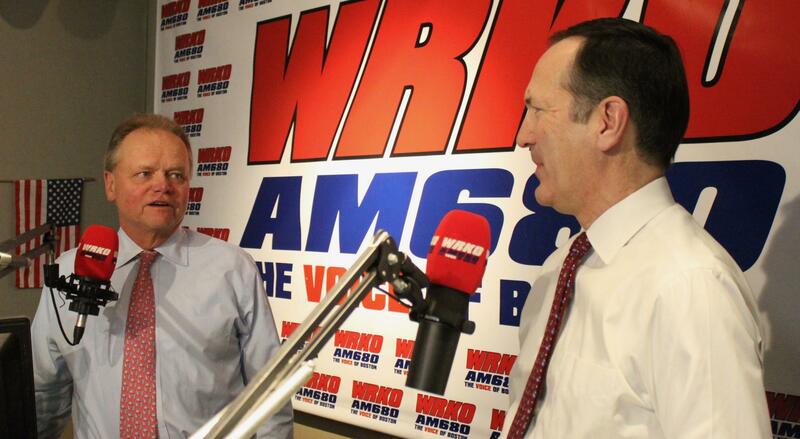 The PlanStrong Financial Forum weekend show airs every Saturday at 3 p.m. on WRKO AM 680 The Voice of Boston Radio. You can listen to these shows live Saturdays at 3 pm by tuning in to AM 680 or stream the content when it's convenient for you on WRKO.com. Missed the latest episode? We have the most recent weekend PlanStrong Financial Forum and the most recent weekday Boston's Morning Show with Kim & VB segment above for your convenience which you can download on your phone or play them right here on the website. Show Airs Saturdays 3:00p.m. - 4:00p.m.